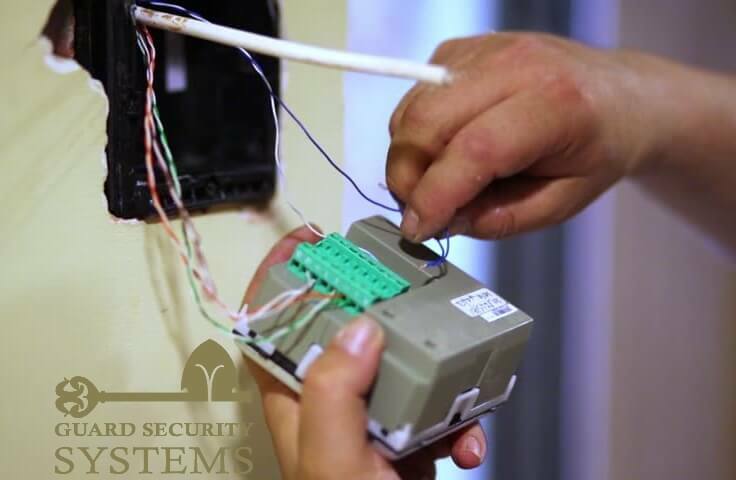 Biticino Intercom Installation & Repairs are essential for both residential and commercial properties. The installation process of the Biticino Intercom may be very simple or really complex depending on the requirements. But one thing it is for sure, Biticino Intercoms need effective repair and regular maintenance services. We offer Biticino Intercom installation of audio & video system, Biticino Intercom repair or maintenance services in all London areas and beyond. We are a reliable NSI approved company for Biticino Intercom installation, repair & maintenance. GuardSys is a well-known name and trustedBiticino Intercom Installation & Repairs service provider. You can rely on us with confidence for all your Biticino Intercom installation & repair projects of audio & video door entry systems. We have professional in-house engineers who can diagnose technical issues of your Biticino Intercom system accurately. In many occasions, we can even offer you Same day service on short notice (for more information please contact us on 02078872244 ). Our 1st class Biticino Intercom repair service and transparent pricing policy will surely win your trust. Just go to BOOK NOW section and start your engineer booking. We can guarantee that there is no hidden charge or surcharge in your pricing policy. If you to have a chat with us before give us a go, please call us now. We will be there for you 24/7/365. Biticino Intercom systems are becoming popular security device day by day for their effectiveness, but they do need to get repaired when the need arises. You shouldn't hire an electrician for your Biticino Intercom Repairs as they are far more complex requiring advanced knowledge of microelectronics and vast experience in Biticino Intercom Repairs. We employ only engineers with experience in Biticino Intercom systems and invest heavily in regular training's. This is another reason why we are the #1 Intercom provider in London. Installation & repair of Biticino intercoms, whether the ones using the most traditional technology or the ones with the latest of software and hardware. There is nothing like an impossible job for us. All our engineers have Biticino Intercom installation & repair knowledge. We install & troubleshoot all sorts of Biticino intercoms systems. You Have Complex Biticino Intercom Installation or Repair Project? Simply give us a call now and sit back to relax as will do the rest!